Red Line Studios is a full service production company and post production suite located in lower Manhattan. We have been in business for over 10 years. Starting out as a film production studio, Red Line produced independent feature narratives and documentaries with budgets ranging upwards of three million dollars. As the company grew, it expanded into commercials and has produced international and domestic spots for Seinfeld, Harrahʼs Casinos, All State, Vonage, and other brands and advertising agencies. Three years ago, Red Line became the go to development service company for a number of outside production companies that include: Endemol, Stick Figure, Paperny, Rock Shrimp, Leopard USA, Nutopia, Wheel House Creative, Big Energy, Cineflix, and Superb Entertainment. During that time we executed over 50 development tapes for networks such as Travel Channel, A&E, BET, VH1, Oxygen, WE, Animal Planet, ESPN, HGTV, MLB and others. Projects ranged from sizzles, proof of concept and pilots, with a number of shows being green lit for series. After helping so many clients achieve success with their development slate, Red Line expanded again to build out their own in house development team. Recent projects include a commissioned pilot for BET, a Super Bowl Special for Nickelodeon, and a comedy series with the Friars Club. 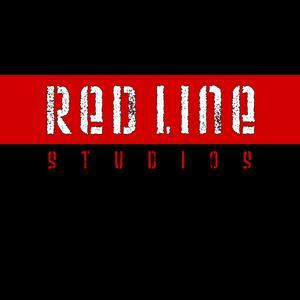 Red Line is currently developing content in the spaces of comedy, sports, crime, and paranormal. Our studio is a one stop shop with a tremendous amount of in house resources that include edit suites, color correction, sound stages, a green screen studio, lighting, and sound. We are a company that believes in quality over quantity, and with a film background, our goal is to always strive for an equal balance of technical and creative perfection.